The ultimate shopping trip to Italy – Indulge in the best luxury brands at outlet prices, with discounts of up to 70% off. Take in a day of Italian culture and cuisine. 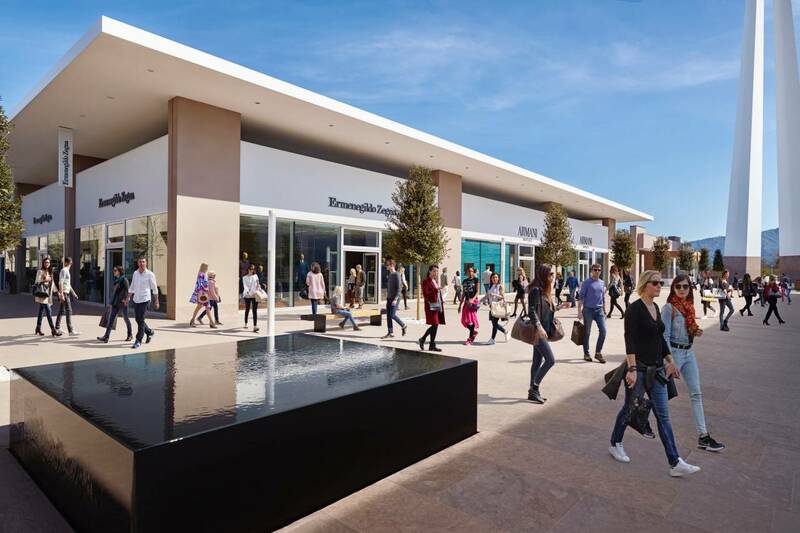 - The first stop is the Torino Outlet Village. - Take free time for shopping and lunch. Includes private hire travel and driver for 12 hours including stops, in air-conditioned, executive style vehicle, with bottled water. One Day Card: 10% discount on-top on outlet prices. Welcome Drink Voucher to use in one of the restaurants of Torino Outlet Village. The ultimate shopping trip to Italy – Indulge in top designer brands at discounts up to 70% and enjoy a day of Italian culture and cuisine. 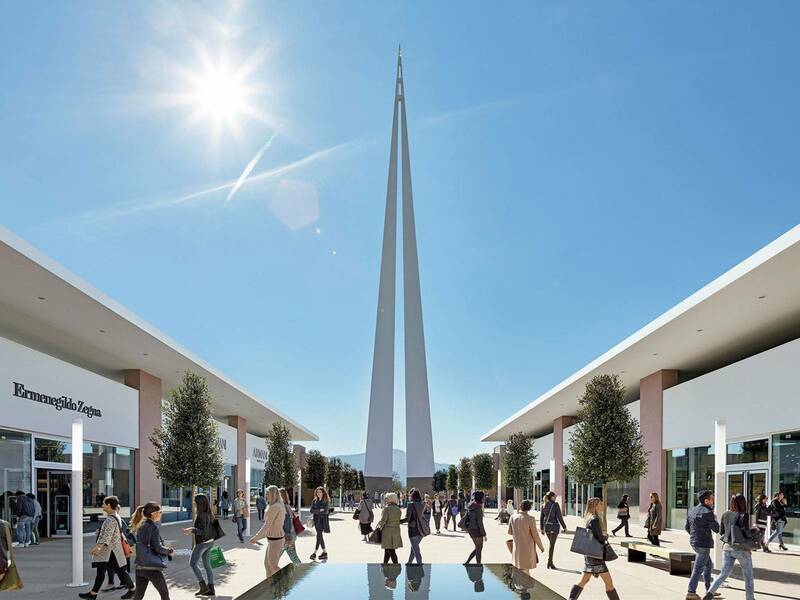 A must for all shopping lovers, Torino Outlet Village has over 90 stores, visitors can take time for shopping and an Italian lunch followed by a sightseeing tour of Turin and its famous landmarks. Torino Outlet is a stunning shopping village on the outskirts of Turin, Italy. A must for all shopping lovers, Torino Outlet Village offers 90 stores of Italian and international brands specializing in clothing, accessories and footwear, home wears, sports and personal care under top Italian and international labels. With discounts of up to 70% all year round and with well known brands such as Armani, Gucci, Ermenegildo Zegna, Michael Kors, Nike, Adidas, on offer. Non EU clients can also claim back VAT. 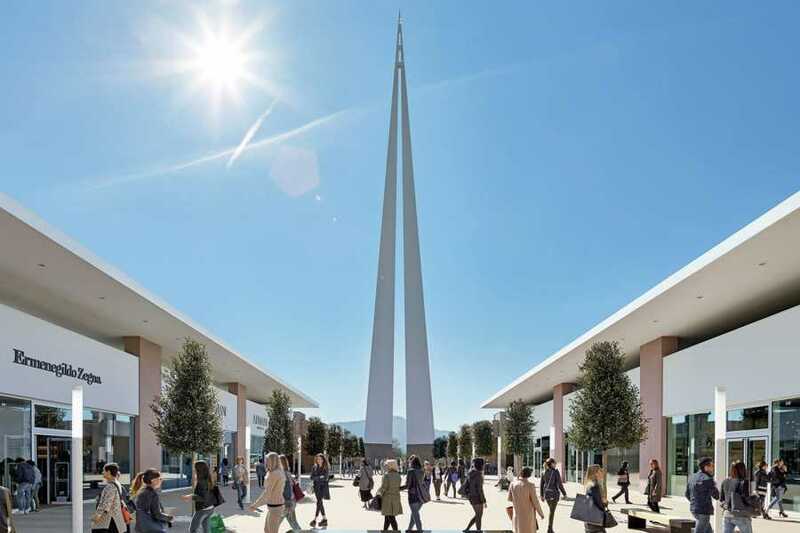 Designed by one of the best-known contemporary architects, Claudio Silvestrin, the 84 metre obelisk at the entrance to the Village is eye catching. Setting the tone for the entire horizontal extension of this elegant contemporary structure, the village is polished and modern. Take lunch in one of the many restaurants, visitors can choose from a fantastic selection of relaxed cafes or gourmet Italian cuisine. 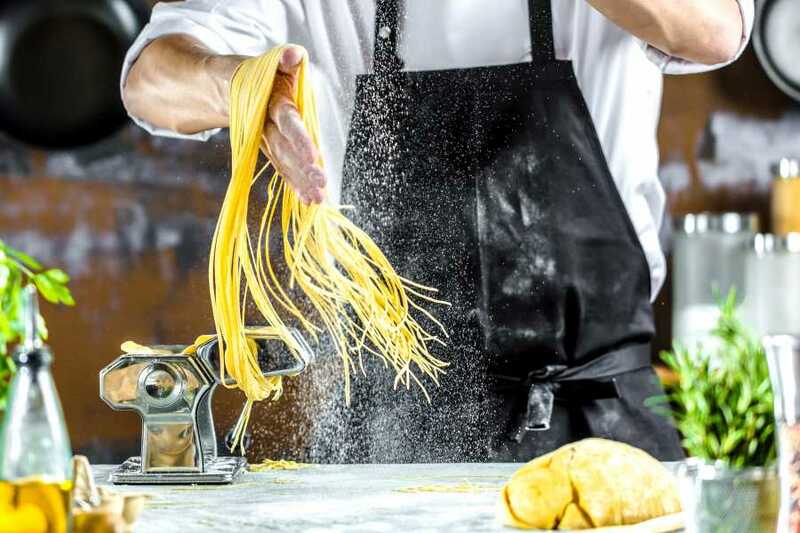 Immerse yourself in Italy for an afternoon of fresh pasta, hand-crafted delicacies and carefully curated wines from the region. Buon Appetito! With the Alps as the northern backdropp, this Italian city is bursting with stunning architecture. 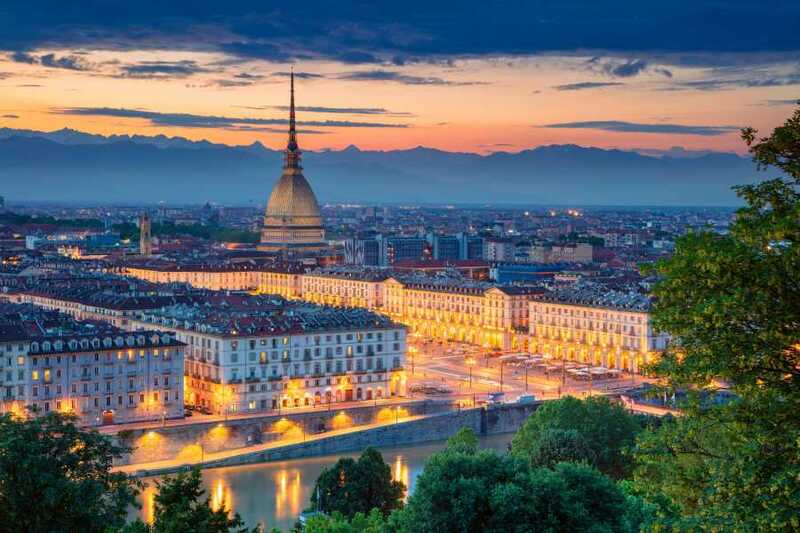 Visit the famous landmarks there including Palazzo Reale –the ‘Royal Palace” and La Reggia di Venaria, the Mole Antonelliana with Cinema Museum and even the Juventus Stadium.